The Tumhari Sulu remake will be directed by Mohzi fame Radha Mohan and will be produced Dhananjayan. Last year, the much-loved Vidya Balan delivered a solid performance in Tumhari Sulu and gave strong proof of her abilities as a performer. The Bollywood film was a comedy-drama and did well at the ticket window. In it, Vidya essayed the role of a housewife/RJ and won harts along the way. Now, the film is set to be remade in Tamil. 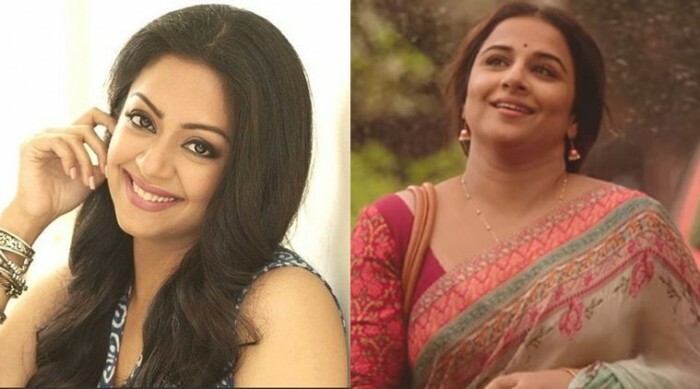 In an exciting development, Suriya just took to Twitter and confirmed that Tumhari Sulu will be remade in Tamil by Radha Mohan and will see Jyothika step into Vidya’s shoes. Well, this is some awesome news and is bound to create a buzz amongst movie buffs. On a related note, Jyo has been doing some pretty awesome work these days. In 2017, she received praise for her work in Magalir Mattum and added another feather to her cap. While talking about it, she had said that the film had a highly relatable and enjoyable narrative. “It is a feel-good entertainer and everything is real without any exaggeration. There are a lot of deep emotions and enjoyable moments as well,” she had added. She was last seen Naachiyaar and received praise for her portrayal of a foul-mouthed cop. Directed by noted filmmaker Bala, it did well at the box office and received rave reviews along the way. Talking about her, her co-star GV Prakash had said that she is a helpful person to work with. “With Bala sir, there’s toughness in each scene you perform. You can’t go just act and come out. He puts in a lot of effort to elevate a particular sequence. He is a master of creating characters that are close to reality, and the impact is such that the characters would stay with the audiences. She is a very positive person. A wonderful and the best co-star! She has no airs around her, and if you perform well, she would come and appreciate your work instantly,” he had told a leading daily. At present, Jyo also has Chekka Chivantha Vaanam in her kitty.